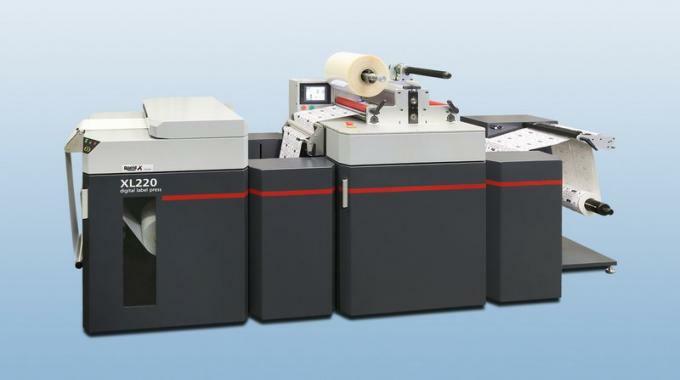 Rapid X Digital’s Memjet-powered digital label presses will be exhibited on the stand of its European distributor Impression Technologies Europe as the Australian manufacturer marks the four-ear anniversary of the launch of the X1. Rapid first released the X1 at Ipex 2010, and since then more than 250 Australian-made machines have been shipped, with a variety of finishing, unwinding and rewinding options. Roy Burton, managing director of Nottingham-headquartered Impression Technology Europe has confirmed that the Rapid X1 and X2 will be on its stand, along with the Rapid D2 die-cutter/laminator and UW1 unwinder with RW1 rewinder. ‘The past four years has flown by,’ said Rapid-X Digital general manager Nick Mansell. ‘We have continuously improved the features and introduced new models and finishing options..
Ipex 2014 takes place at ExCeL in London across March 24-29. Read more about label and package printing technologies that will be on show at Ipex 2014 in Labels & Labeling issue #1, 2014.